I am a Pink Floyd fan like I am a Grateful Dead fan – I like David Gilmour more than the band (similar with Jerry Garcia). The Gilmour helmed Division Bell is my favorite Pink Floyd album. Gilmour is not very prolific and so it was with great anticipation that I waited for this release. The album is great and may be Gilmour’s best vocals ever. I had no idea he had such a fine pop voice. In short Rattle That Lock is a pop music masterpiece. There are not many musicians these days that can afford to present their music as richly as Gilmour is able. In the grand tradition of Pink Floyd this album is total ear candy (on the Godiva side vs Tootsie Roll side). In addition to the great music, the album has two spectacular animated videos for the album’s most ambitious songs (“Rattle That Lock” and “The Girl In The Yellow Dress” – unfortunately this is not available on the internet). 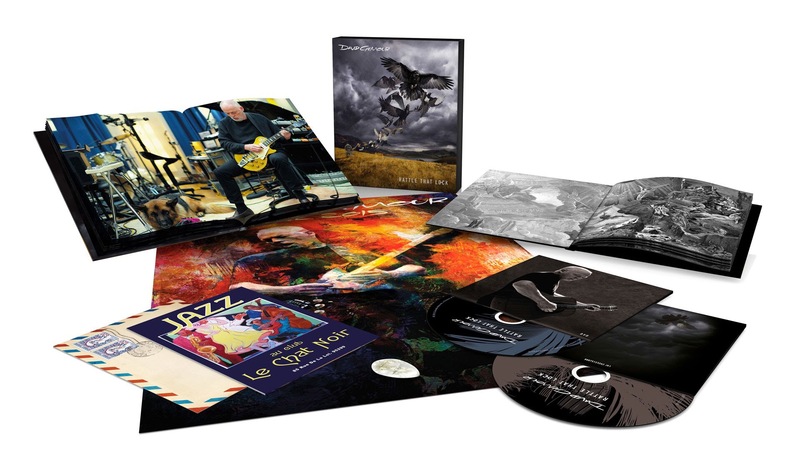 “Five A.M.” is the album’s overture – an instrumental that feature Gilmour’s signature fret work. Gilmour’s electric leads have always reminded me of a cross between sonar and a seagull. “Faces Of Stone” starts out with a simple yet elegant keyboard and then Gilmour and company drop into full Punk Floyd mode with a sprinkle of Tin Pan Alley. Gilmour’s soaring guitar holds it all together. “A Boat Lies Waiting” opens as a gorgeous melancholy instrumental. Gilmour finally begins to sing and his voice is augmented by Crosby/Nash in lush harmony. This is a loving memorial to Gilmour’s old friend and Floyd bandmate Richard Wright. “Dancing Right In Front Of Me” starts out as little waltz and then converts into full Floyd mode. “In Any Tongue” surges between gentle meditation and a full-out stadium rocker. “Beauty” is a nice instrumental allowing Gilmour to display some nice guitar work. “Today”has a Talking Heads feel, yet undeniable Floyd feel. This could almost be a dance song. “And Then…” is a nice closing meditation echoing the opening cut. I have been listening to the Blu Ray in stereo PCM (96 kHz/24 bit) and it sounds great. It is pristine, yet warm. As to be expected this is a well-engineered album. In a day when the studio has lost its place in recordings it is great to hear rooms.